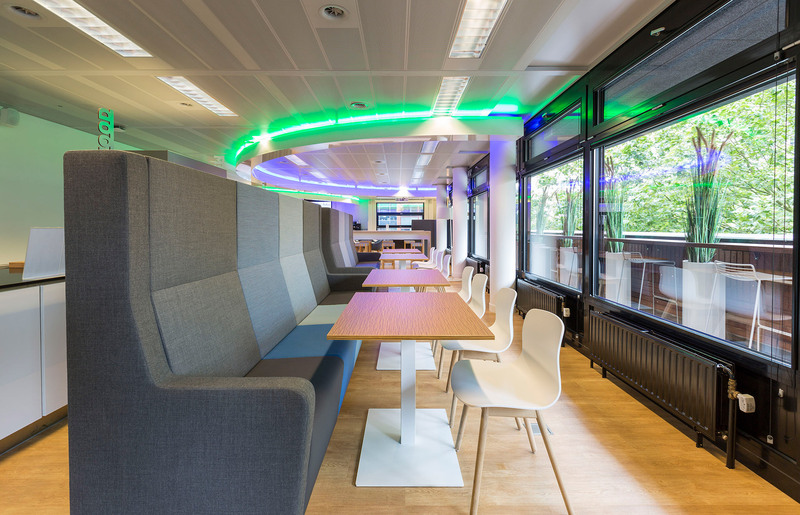 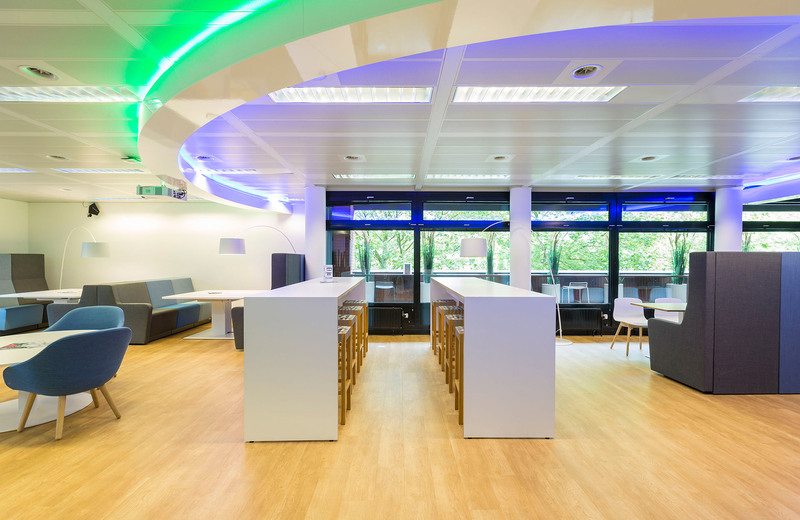 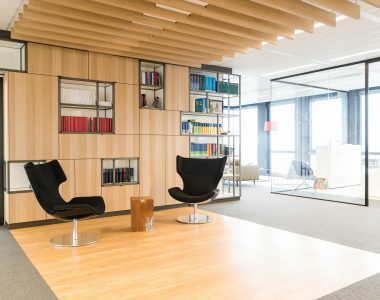 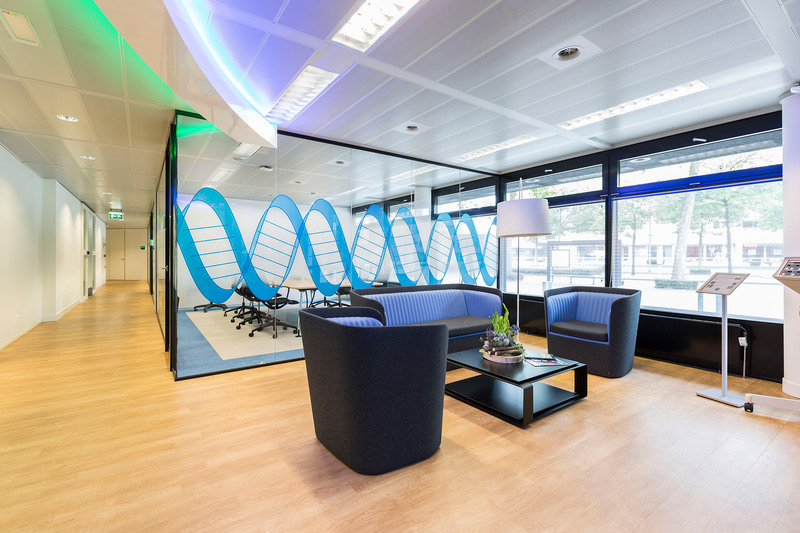 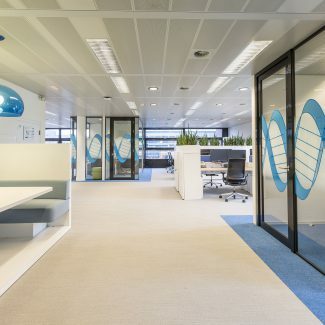 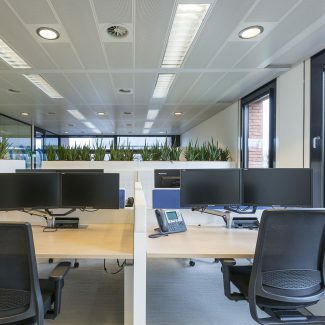 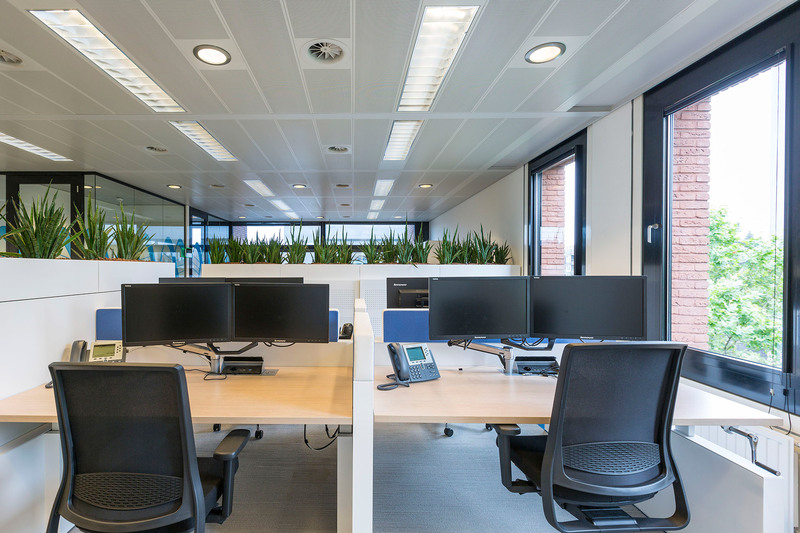 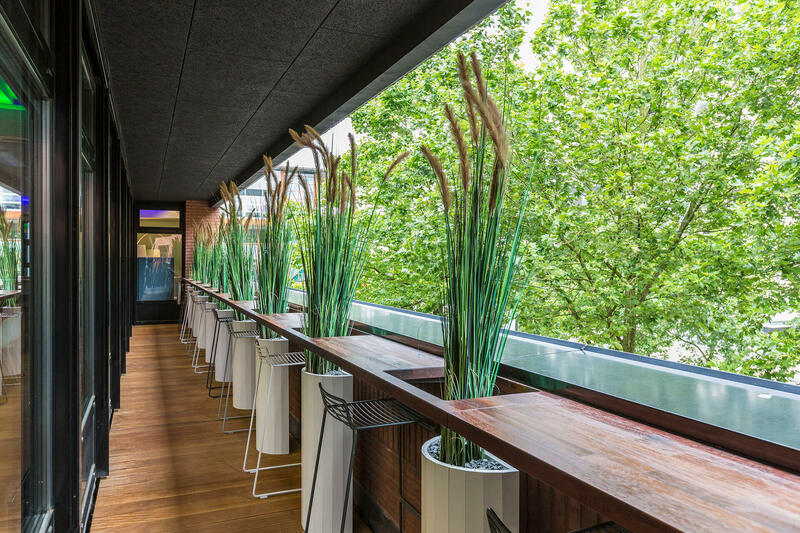 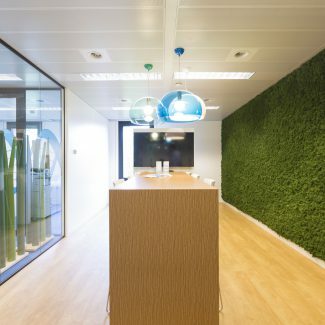 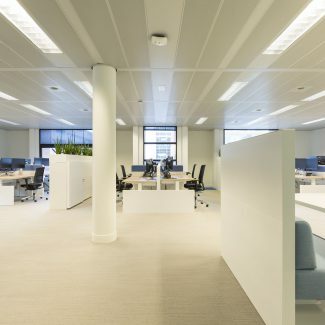 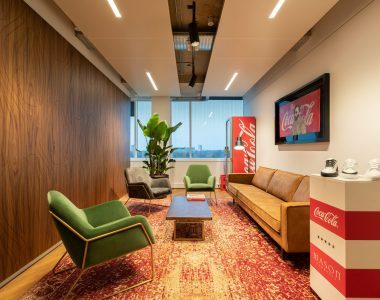 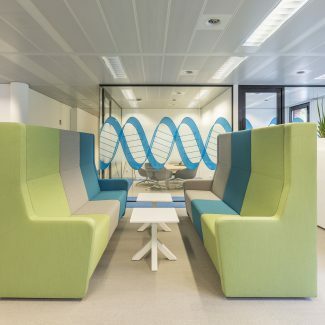 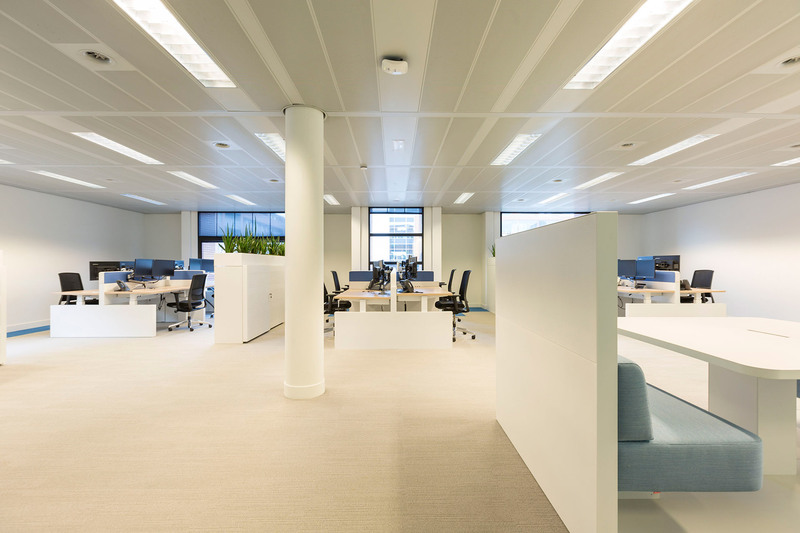 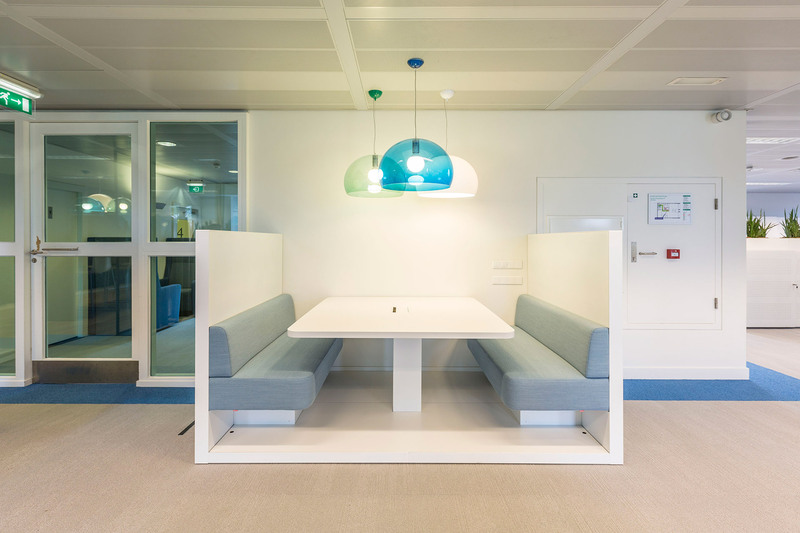 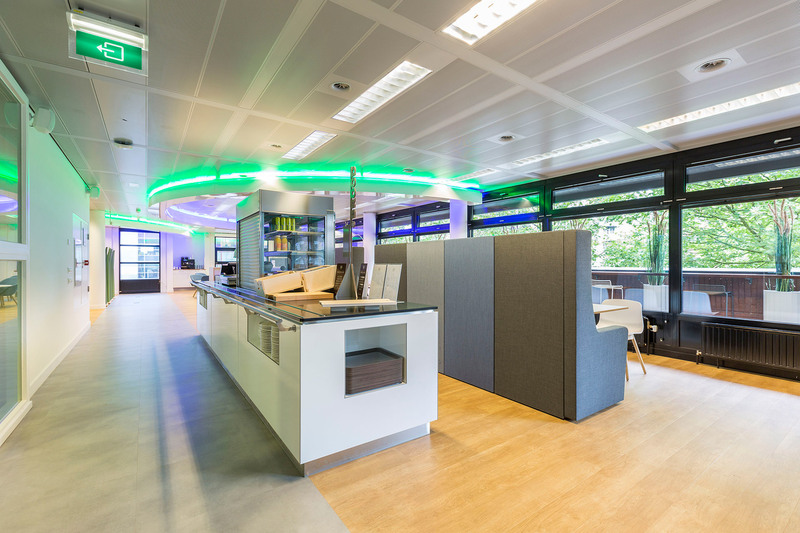 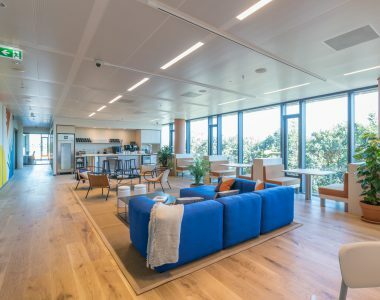 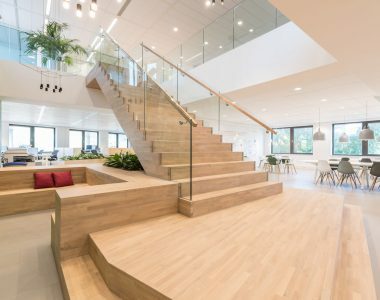 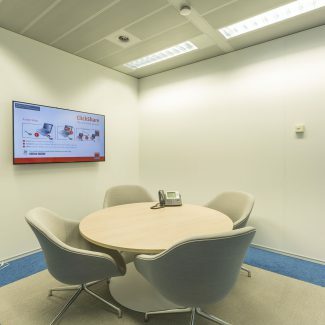 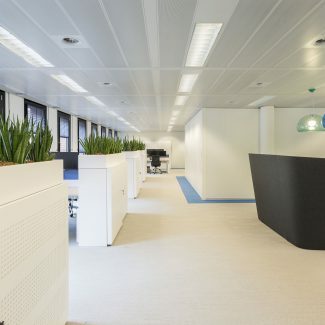 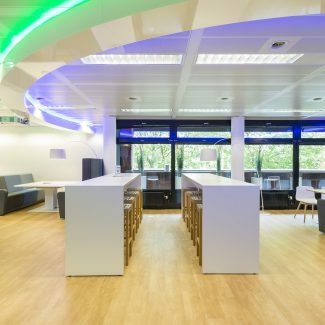 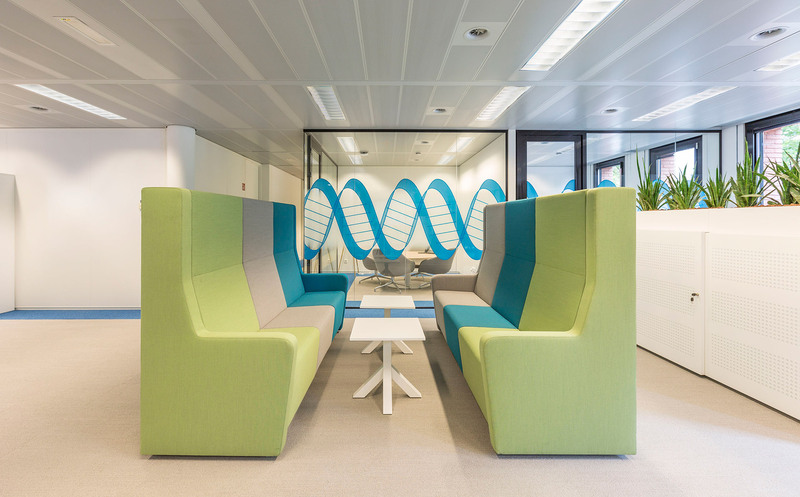 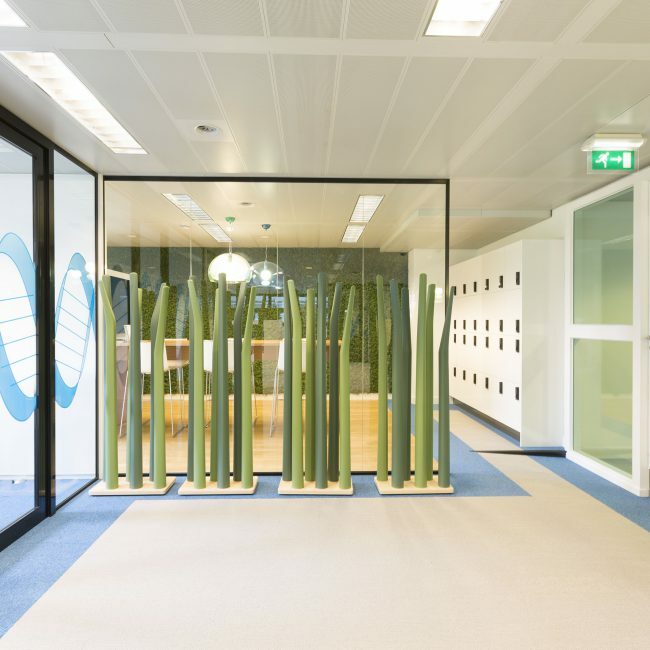 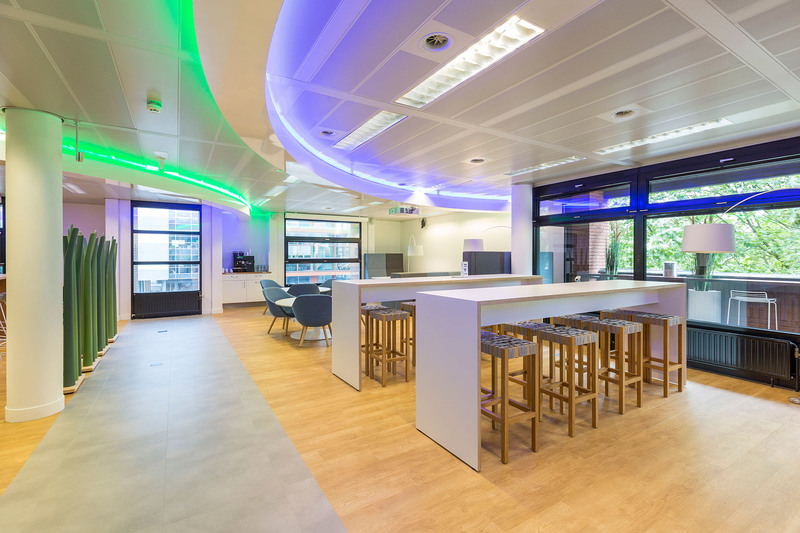 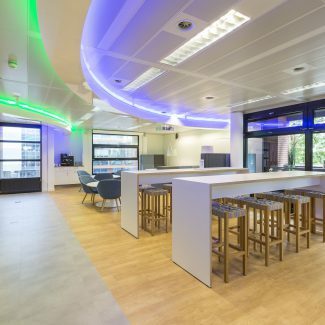 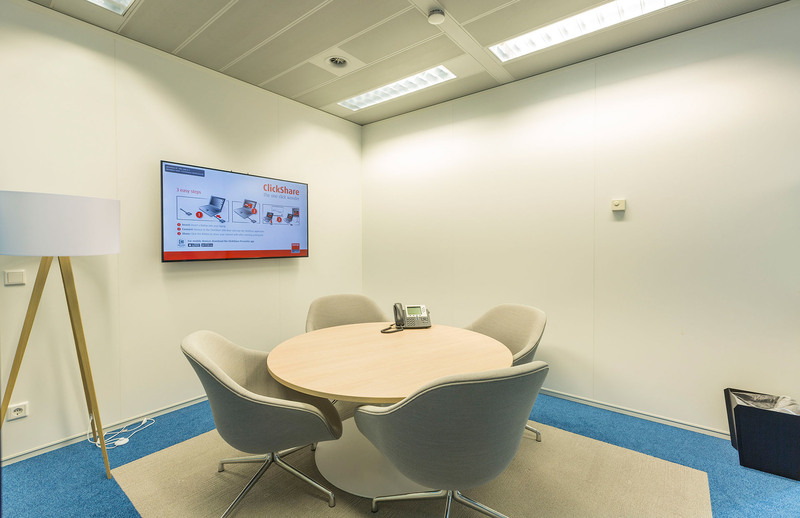 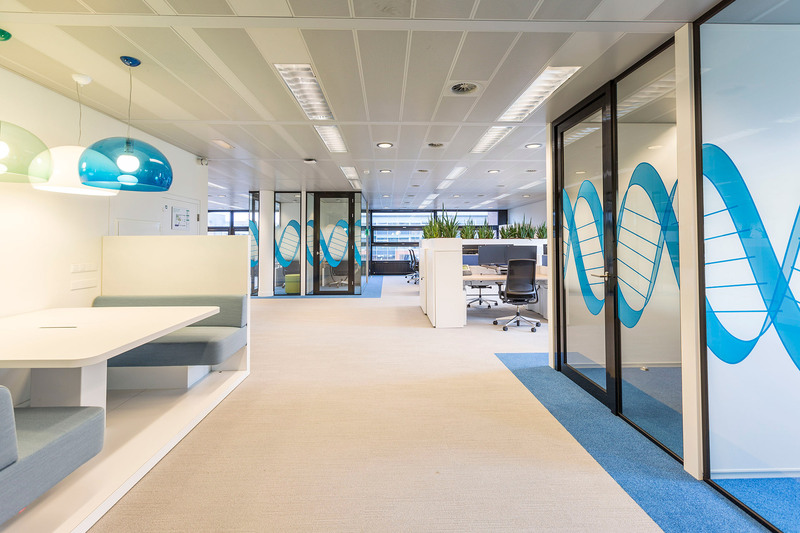 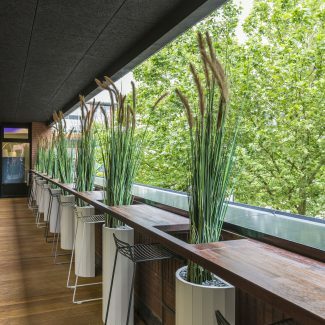 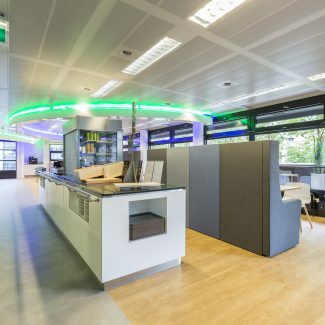 Tétris design and built the new offices for an international pharmaceutical company in Maastricht. 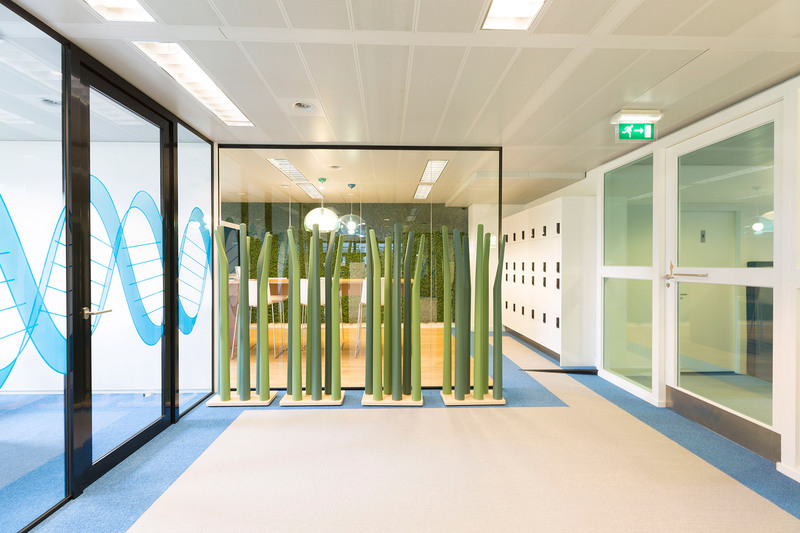 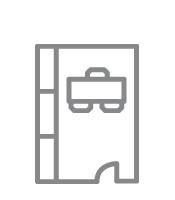 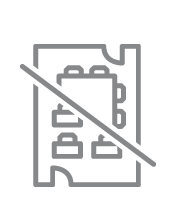 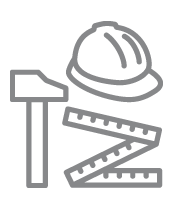 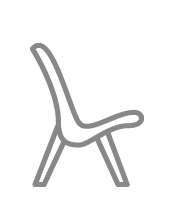 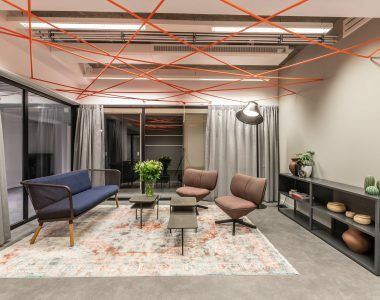 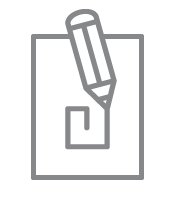 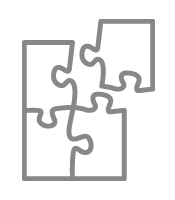 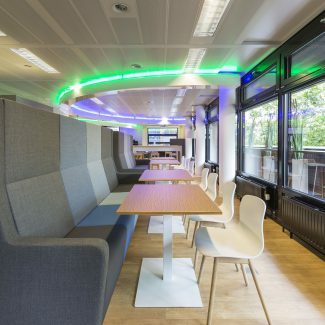 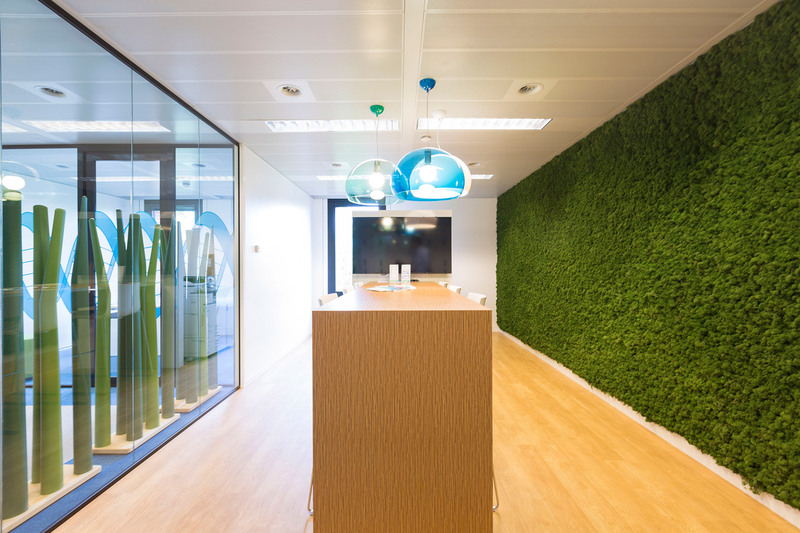 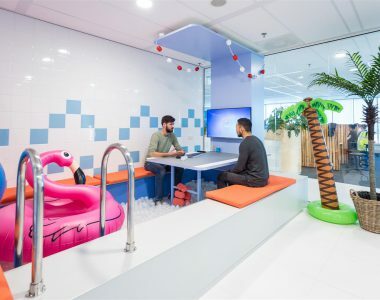 In the design Tétris incorporated the company’s identity throughout the whole office. 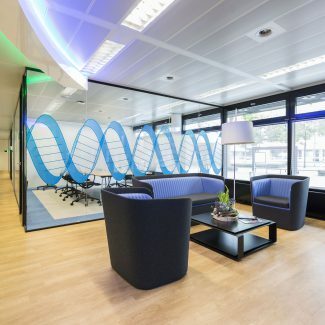 It is immediately clear in what kind of branch the company is working because of the DNA-like graphics on the windows. 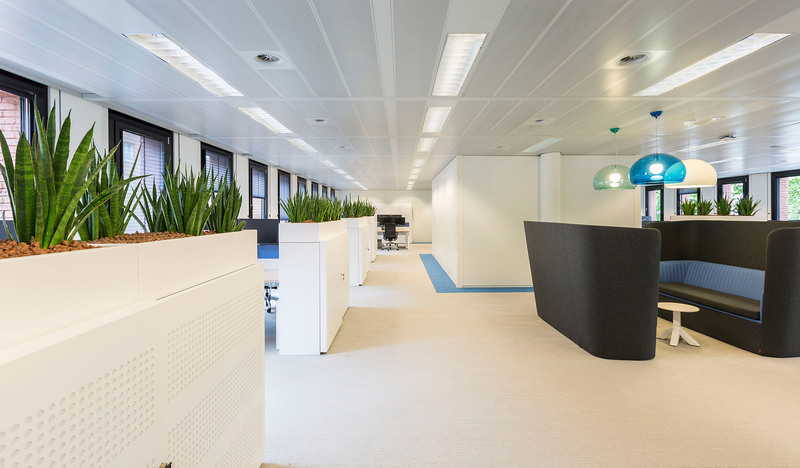 The office looks fresh with light colors and planting. 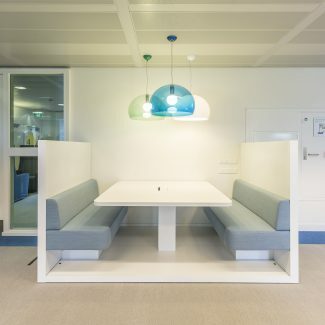 And withf the spacious work stations the employees have a nice, quiet place to work.